This message is not for everyone. It is strictly for the entrepreneurs. When I speak in my column of the many opportunities that abound, or of the concept of following one’s passion, or of the urgent need to establish a local entrepreneurship base, it’s not because I don’t see what’s going on. I am not naive to the issues. Yes, there are infrastructure issues. There are labor issues. There are Covenant issues. There are indigenous rights issues. In this little land of ours, it is easy to be overwhelmed by the many issues that face us. It is easy to be distracted, to lose focus. However, the secret critical path to success through all the chaos and turmoil is to stay focused on what’s important, and not to waste time in worry. 1. Things that have already happened. 2. Things that we have no control over, that will likely never happen. 3. Things that are in the future, that we don’t know if they will happen. 4. Things that are in the present, that we can do something about. If we want the best use of our energies, it should be obvious that worrying over items 1 through 3 are a waste of time. It makes no sense to worry about a past we cannot change, events which may never happen, things we cannot control, or a future we cannot predict. So, let’s focus on things we can do something about. Agreed? Now, before we proceed, let’s agree on a critical point: There is a sorting or weeding out process in effect in the CNMI. As unpleasant as it may be to accept, after all the chaos and turmoil has subsided, there will be some who make it through this weeding out, and some who will not. This applies to people as well as businesses. It may also be wise to accept that the business model we’ve come to know and love may be outdated. How, where and even why we do business as CNMI-entrepreneurs may need a bit of alteration in order to be functional in the new paradigm. This weeding out of the old may occur every step of the way in our journey, so be vigilant. However, to help us prosper, let’s proceed with focusing on the things we can do something about. The first thing you can do something about through all of this is whether you will stay or go. Whether local, guest worker, expat, nomad or tourist, you always have a choice. 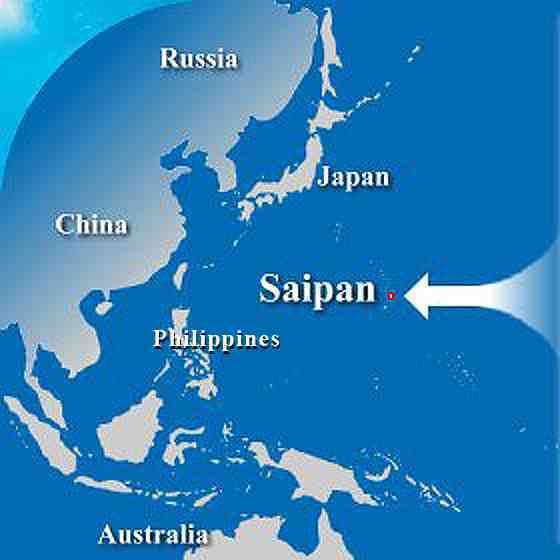 If some of the non-negotiables of your ideal lifestyle here on Saipan, Tinian or Rota have been violated (i.e. if the quality of your life has deteriorated past the point of no return), then it may be wise for you to leave. You’ll be happier elsewhere. Similarly, if the business environment is such that you feel you cannot make it through, then it may be wise, too, to leave. If, on the other hand, you still find the benefits and joys of living here worth hanging around for, then by all means choose to stay. (Remember, peace of mind, prosperity and happiness are not functions of power outage schedules.) Once you choose to stay, however, I suggest further that you choose to stay and not whine. Whining is worrying and kvetching (Yiddish for constant complaining) about "worry items" 1 through 3 above. Whining depresses others, disempowers you, and is not the best use of your energies. OK. Now that you’ve chosen to stay and not whine, then choose an issue. If you can help the CNMI weather the storm in the area of education, then do it. If your niche is agriculture, tourism, politics, immigration, infrastructure, or whatever, find a cause and champion it (without whining) for the good of all. Ask yourself how can I improve the educational system in this environment? How can I improve the infrastructure in this environment? If you think it can’t be done, then perhaps you’re being weeded out. Since my message is for the entrepreneurs, I suggest the issue YOU, as an entrepreneur, should focus on is how to build a business in this environment. Again, if you think it can’t be done, then perhaps you’re one of those being weeded out. Those who can come up with solutions will survive, those who can’t hang, will fall. This is the key to not being overwhelmed. Don’t take on all the issues. Focus on one that you have some passion for, purpose around, or the potential to affect. If you choose to stay and focus on an issue, then know this: Regardless of what happens with the federalization of immigration, you are going to have to adapt. Regardless of what happens with the minimum wage, you are going to have to adapt. Regardless of what happens with each and every issue that faces us, adaptability is what will be required. If you cannot find a way to adapt, then perhaps you are being weeded out. Remember, there is a void being created by the weeding and sorting. This void must and will be filled. It will be filled by those who can adapt, and by those who can see or create opportunity. The question is will it be filled by you or by someone else? - What are the things about this situation I have control over? - How can I adapt to this situation? - How can I hang on until things improve? - What, if anything, can I do to improve the situation? Notice we aren’t asking "Whose fault is this?" "Where’s the government?" "Who can I sue?" Yes, those questions may be important, but they are for others with a different focus. They are for the people who’ve decided to choose that as their issue. Remember, this is a message of adaptability for the entrepreneurs. Adaptability is the ongoing, ever-changing response to the ongoing, ever-changing conditions that arise. Each twist in the road may require a different strategy. Each obstacle along the way may require a different adaptation, and may also serve to weed you out. But fear not, the three things that every person has in his/her arsenal of responses to these changes, are commitment, perseverance and faith. If you are committed to staying, then adaptation is what you should be focused on. There is a weeding out in process. 1. Don’t worry about things you cannot control, things in the past or uncertainties. 2. If you’re going to stay, then choose to adapt. 3. If you can adapt, then focus next on what you can change. 4. If you cannot make change, then, for heaven’s sake, at least don’t whine! Cut and paste this handy flow chart in easy view as a constant reminder. 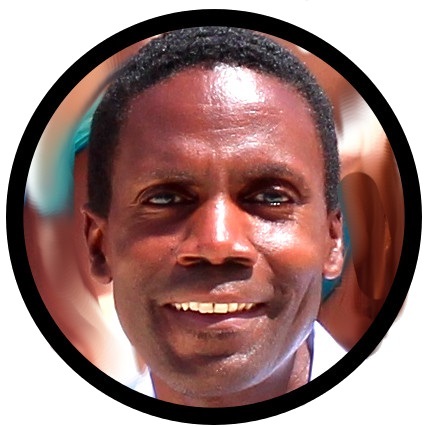 Walt F.J. Goodridge is author of 12 books including Turn Your Passion Into Profit. Walt offers coaching and workshops to help people pursue and profit from their passions. Originally from the island of Jamaica, Walt has grown several successful businesses in the US, and now makes his home here in Saipan. To learn more about the Saipanpreneur Project and Walt’s philosophy and formula visit www.saipanpreneur.com and www.passionprofit.com. Send article suggestions, entrepreneur nominations and feedback about this article to walt@passionprofit.com.